Blue: the most common favorite color. Relaxing as a pastel, warmer as it gets deeper. Some of the pale, light blues in Vicente Wolf's Color Diaries are vapid and dissolve in beauty – just those little tints of blue to offer unlimited possibilities, especially on a ceiling. Green blues and blue greens - colors that are so mercurial - change depending on how the light hits. 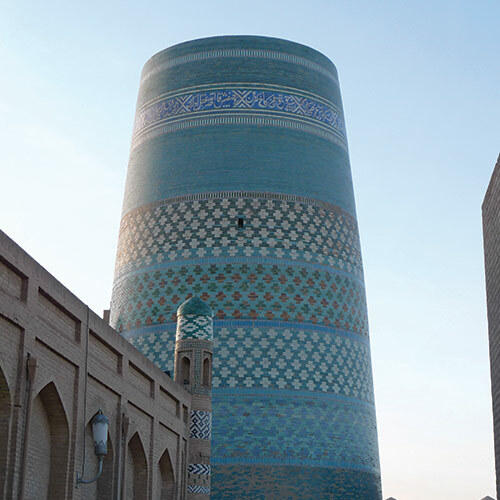 Mosaic patterning, predominantly in blue, dominates much of Uzbekistan's architecture. There are the baby blues, but these are more ambient and restful, delicate and grown up. The dark blues are never cold, but add mysterious depth to any space.